Arnie Klein was not Micheal Jackson’s kids father. Marlon and Miko Brando are the Bio fathers of all of those kids! too complicated to be handdled seriously. 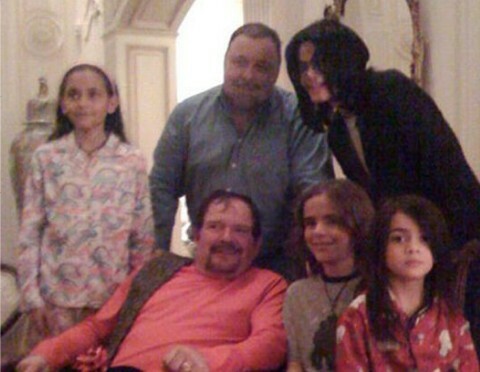 One thing is sure: Jacko didnt father any, I mean ANY of these kids, end of story. Yep, the “King of Pop” should have been hung from the gates of Neverland by his small perverted and bleached balls for all his antics with young boys! Jacko was a peewee who only had kids to abuse. Klein and Prince look so similar. I still think that those two are or were father and son. That has to be sad for the children to lose him. I doubt very much that Prince and Paris care anything that Klein is dead. They both strike me as very cold and greedy and their primary interest is their meal ticket and being considered Jackson’s bio kids. I would love to see someone on TV ask them outright if they are bio Jacksons, I am sure they will boldfaced lie about it. Jacko raised a trio of fraudsters. Prince needs a stylist – pronto!